At 73, Lola Jasmin Francisco, a widow, can still be seen selling fruits in front of her house in Barangay San Roque in Teresa, Rizal. Despite her age, she needs the income to support most of her needs, especially her medications. She is suffering from high blood pressure, high uric acid and asthma. She said that her maintenance medications are quite costly and usually, her small income is not enough to buy them regularly. “Nangunguha ako ng Indian mango at sampalok sa may bukid, ‘yun ang tinitinda ko. Noon, nagtitinda rin ako ng halo-halo dito pero itinigil ko na dahil hina-highblood ako (I gather Indian mango and tamarind from the farm which I sell. I also used to sell halo-halo but I stopped due to my hypertension),” Lola Jasmin shared. Although she lives with two of her children and receives support from them occasionally, she believes that she still needs to earn for herself and does not want to rely on her seven children because they have families of their own now. “’Yung anak kong lalaki, contractual lamang, parang janitor lang. ‘Pag nabigyan ako ng konti, ‘yun ang pinangtutustos ko sa pang-araw-araw” (My son works as a contractual janitor. Sometimes, he gives me some cash which I use to buy for my daily needs),” Lola Jasmin said. With her age and her usual financial struggles, she does not want to feel helpless. Hence, she continues finding ways to support herself. In 2014, Lola Jasmin became a beneficiary of the Social Pension for Indigent Senior Citizens implemented by the Department of Social Welfare and Development (DSWD). The Social Pension is a provision mandated in the Expanded Senior Citizens Act of 2010 which provides P500 monthly cash assistance to indigent senior citizens who are 60-years old and above for their daily subsistence and medical needs. Qualified beneficiaries are those who are frail, sickly and disabled, who do not receive support from their families and who do not receive pension from the government or private agencies. For Lola Jasmin, the program is a big help for a senior citizen like her who has a limited capacity to support herself. “Ako ay nagpapasalamat kay Lord at nagkaroon ako ng social pension. Malaking kaluwagan na sa akin ang natatanggap kong P500 buwan-buwan (I thank the Lord for the social pension. The P500 which I receive monthly is a huge help),”she said. She added that she allots the cash assistance mainly for her medicines. Lola Jasmin is one of the more than 1.3 million beneficiaries of Social Pension nationwide. DSWD has allotted P8.7 billion for the pension of these older persons. In CALABARZON alone where Lola Jasmin lives, some 85,639 older persons are receiving their social pension on a quarterly basis. Lola Jasmin recalled how she became a beneficiary of the Social Pension. “Bigla na lang sinabi ng president namin sa Federation of Senior Citizens sa aming lugar na pumunta daw sa meeting at kasama raw ako sa mga pensioner. Basta sinabi n’ya na kasali ako sa ‘poor’ (I was told by the president of our Federation of Senior Citizens that I have to attend a meeting because I am one of those identified as pensioners. I was also told that I am included in the list of poor families),” she shared. To be a beneficiary of the Social Pension, the senior citizen must belong to the list of poor households as identified by the DSWD’s Listahanan otherwise known as the National Household Targeting System for Poverty Reduction (NHTS-PR). The Listahanan is an information management and targeting system that identifies who and where the poor are in the country through a house-to-house assessment of households. It maintains a database of poor households, which is used by the DSWD in the identification of beneficiaries for the poor such as the Social Pension and the Pantawid Pamilyang Pilipino Program. 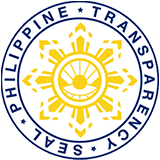 The Philippine Health Insurance Corporation, Department of Energy, and Department of Health are among the other government agencies that have used the database in the identification of their beneficiaries. Lola Jasmin belongs to the 389,811 poor households in the region identified during the first assessment in 2009. In 2015, the DSWD conducted its second assessment of poor households nationwide. The updated national database was launched in April. In the region, the updated database will be launched anytime this month. The DSWD continues to encourage local government units, national government agencies, and civil society organizations to use the updated database in targeting beneficiaries for their respective programs for the poor. For Lola Jasmin, being included in the list of poor households opened an opportunity for a senior citizen like her to get the support she needs.